The minister was responding to a question on former chief ministers Omar Abdullah and Mehbooba Mufti staying mum on the death of Sepoy Rajendra Singh, who passed away at a hospital here on Friday after sustaining head injuries during stone-pelting by a group of youths. 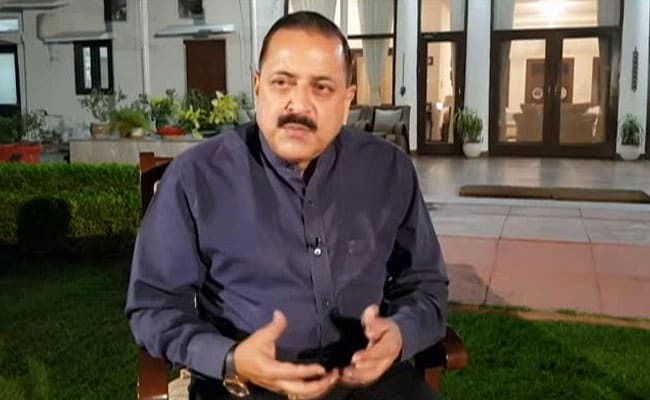 Criticising their stoic silence over the killing of a soldier by a stone-pelting mob in the valley, Union minister Jitendra Singh Saturday said the mainstream Kashmiri politicians cannot go to the toilet without the Hurriyat Conference's permission. The Army jawan was providing security to a Border Roads Organisation (BRO) convoy on Thursday. At around 1800 hrs, when the convoy was passing through the Anantnag bypass tri-junction near NH-44, few youths hurled stones at the vehicle and Singh was hit by a stone on the head. "Yesterday, I and (state) governor (Satya Pal) Malik were together in a programme and he said about the Hurriyat that they take permission from Pakistan to go to the toilet." "I have no hesitation to add to that as far as the so called mainstream politicians (of Kashmir) are concerned, their situation is even worse, they take permission from Hurriyat to go to the toilet," Singh said. "If they do not get the permission they are even reconciled to remain constipated all their lives," the minister of state in the Prime Ministers Office (PMO) told reporters here. Singh said if the jawan had open fire at the stone-pelters in self defence, the same politicians would have cried hoarse accusing the security forces of violating the human rights of local Kashmiris. "This apologetic approach is just appalling... Had the soldier who got killed defended himself, which he could have rightfully done, the same politicians would have bayed for his blood in the name of human rights violations or civilian atrocities by security personnel," he said. Singh accused the valley's politicians of trying to portray the killing as if it was the soldier's fault that the stone hit him on the head.